Even if you are a novice cook, Thermomix® will inspire you to expand your cooking repertoire, try new recipes and take control of your kitchen. With our innovative Guided Cooking feature and reliable recipes, it’s never been easier to cook amazing food! Approved Thermomix® recipes make it easier to explore a huge range of dishes, breaking even sophisticated recipes down into the simplest of steps that can be easily followed and will lead to consistently great results. With the full colour touchscreen, Thermomix® now makes it even simpler with Guided Cooking. This unique feature takes you step by step through a recipe and even sets the time and temperature for you. Just follow the steps and add the ingredients. Whether you’re cooking for the family, rustling up a quick and healthy meal for one or a professional chef in a commercial kitchen, you can rely on Thermomix® to help you cook smarter. Thermomix® takes the effort out of preparing tasty and healthy meals, making it easy to deliver perfect results. Whatever your skill level – whether you’re trying to make everyday dishes faster and more easily or pushing the boundaries of what’s possible in the world of food, Thermomix® will help you to explore your potential and broaden your cooking horizons. 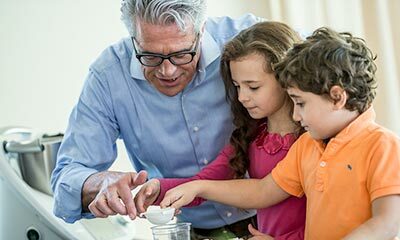 Whether your family is big or small, young or old, there is often so much going on it can be a struggle to make time to prepare healthy home-cooked meals. As a parent, you are probably already adept at doing many things at once, but an extra pair of hands is always welcome. This is why Thermomix® is a lifesaver for busy parents who want to bring the love of good food back into their home. Thermomix® enables you to produce quality meals quickly and effortlessly for the whole family to enjoy. In addition to being treasured by home cooks around the world, Thermomix® has become a workhorse in professional kitchens, with the majority of Michelin-starred restaurants using Thermomix® as their tool of choice. Thermomix® offers precise control over speed, temperatures and cooking times to ensure perfect, consistent results, time and time again. The ability to set the Thermomix® to automatically perform even delicate tasks such as preparing a crème pâtissière , beurre blanc and chocolate ganaches is an invaluable timesaver. It’s like having an extra pair of hands in your kitchen! Thermomix® delivers stunning colour, texture and flavour and the purées are so silky smooth that you can often reduce or eliminate sieving. With Thermomix®, restaurants are therefore raising the quality level of their food and saving time, money and effort. Everyday cooking with Thermomix® is so easy and removes the hassle from food preparation. Whether you are a busy professional chef looking to save time, or a home cook preparing nutritious meals for yourself or your family, Thermomix® automates lots of the cooking process and saves you time, especially with the Guided Cooking feature. Thanks to its clever design, Thermomix® is also a joy to operate. It features an easy-to-use interface that consists of one touchscreen and one selector dial for simple, precise control at your fingertips. When creating your own meals with Thermomix®, it is no longer an effort to eat better, fresher and healthier food that also tastes incredible. With thousands of great Thermomix® recipes that cater to specific dietary needs and offer clear nutritional information, you can take control of what goes in your food, allowing you to prepare dishes that will help you manage weight or cope with allergies with less stress. Thermomix® gives you more time to enjoy life. 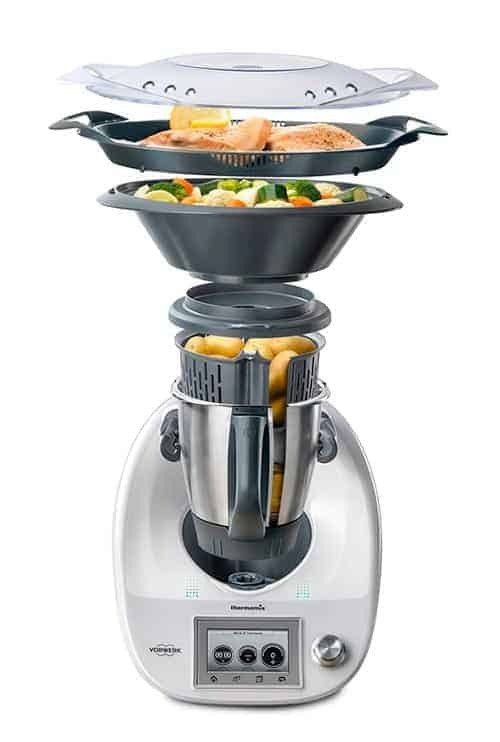 Thermomix® reduces food prep time by chopping ingredients in seconds. While Thermomix® gently cooks and stirs your food, you’re left free for other things. 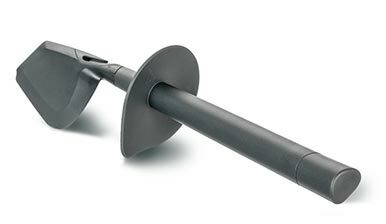 Its clever design means that dinner can be ready in minutes! 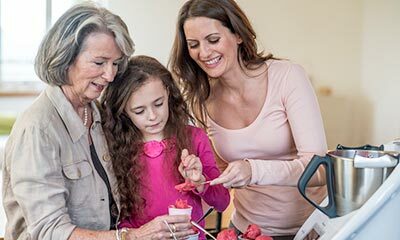 Let Thermomix® do the work while you have more time to do what you love. The weighing scales, the blender, the food processor, the bread maker, the slow cooker, the steamer, the coffee grinder, the smoothie maker… the list goes on! 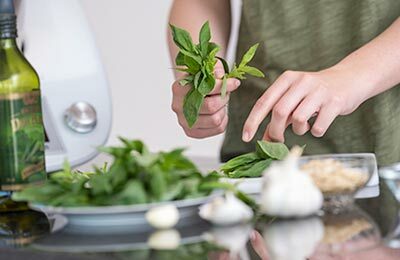 Thermomix® performs the function of more than twelve kitchen appliances in one, which not only frees up sorely needed kitchen worktop and cupboard space, but also means there’s no need to purchase multiple − and often costly − kitchen gadgets. 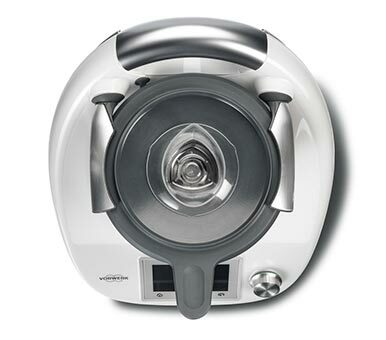 Your Thermomix® does it all in one compact unit with less cost and great quality. Save yourself numerous trips to the supermarket and make savings each and every time by preparing your own soups, breads, sauces, smoothies and even baby food. Cooking with Thermomix® helps reduce food waste and cut down on the purchase of expensive ready-made meals.